“The US is setting up its military bases in the territories that were liberated from Daesh by our fighters during the fight against terrorism,” – Senior Representative of the US armed, proxy, SDF forces. By establishing a chain of airbases, military outposts and missile bases inside Syria, the US is illegally, stealth-occupying a sovereign nation. The number of US military installations in Syria has increased to eight bases according to recent reports, and possibly nine according to one other military analyst. “They have arrived now in al-Tanf and they are a significant boost to the US military presence there,” one senior intelligence source said, without elaborating. “The HIMARS had already been deployed in Northern Syria with US-backed forces battling ISIL militants”, he added. US CENTCOM were quick to deny such a blatant violation of International law with familiar doublespeak that left room for the interpretation that the US was indeed preparing to empower its Kurdish proxies in their bid for “independence”. The fundamental flaw with US Coalitions is that they do not include the Syrian Arab Army, Russia and their allies who have been systematically fighting ISIS & NATO state extremists, since the start of the externally waged war against Syria. The US coalition is, in reality, an uninvited, hostile force, violating Syria’s territorial integrity, operating under the false pretext of combating ISIS while many reports expose the collusion between US coalition command & forces and ISIS. September 2015, just before Russia launched their legal intervention against terrorism in Syria at the invitation of the internationally recognised Syrian government. However, the US has consistently underestimated its foe and apparently failed to factor in the Russian military capability. On Wednesday, Russian Tu-95MS strategic bombers struck ISIS targets in Syria with X-101 cruise missiles, as reported by South Front. 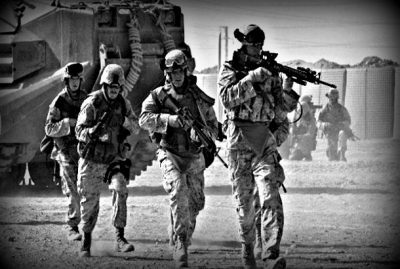 From a practical military perspective, the US is out of its depth in Syria and no amount of proxies are going to change that fact, it remains to be seen to what extent the US will further bury itself in a swamp of its own making before it concedes defeat to the steadfastness of the Syrian people, the Syrian Arab Army and the Syrian state. “What Planet Earth, and the creatures thereon, need more than anything is leaders in the West who are intelligent, who have a moral conscience, who respect truth, and who are capable of understanding the limits to their power.